We welcome our children into Parklands ET and look forward to building links with our families and the local community to give the children many exciting learning opportunities throughout their first year in our school community. In Pre school and Reception, a large part of our learning is through play. To find out more about the EYFS curriculum visit our National Curriculum page. 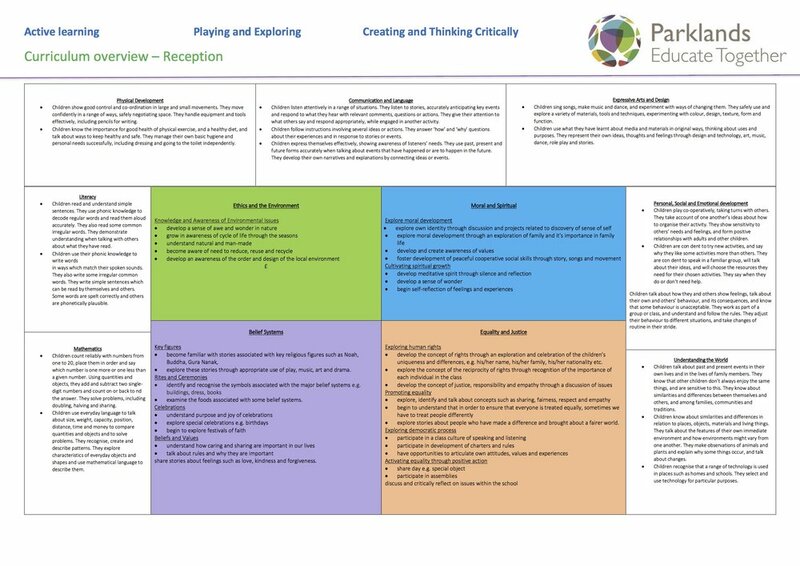 In year 1 we follow the national curriculum and aim to do as much of this with as possible with a play based approach to learning. TOPIC WEB SPRING 2 - What’s in the garden? Year 1 enjoyed their maths lesson on standard measure for weight today. We tried to weigh three of our chicks using grams and the balancing scales. Some predictions were very close! The chicks really enjoyed hopping in and out which made for a very funny maths lesson! Hummingbird class had a lovely surprise this afternoon. Our local community Police Officers Aisha and Dave came to talk to us about their roles. The children loved trying on the uniform, looking at the body camera and the highlight was definitely exploring the Police car! Thank you so much Aisha and Dave for a very exciting afternoon! Ethics and the Environment - making our outside space more mini-beast friendly! As part of our topic and our Ethics and the Environment Learn Together strand, we have been thinking more carefully about our outside space. We went on a mini beast hunt outside and couldn’t really find any. We looked at different bug habitats and started to think about ways to improve our outside area. Luckily, we are surrounded by so much green space so we went looking for loose natural materials. Once back at school, we decided it would be good to start planting different types of grass and flowers to encourage bees and bugs onto our playground. Next, the children decided it would be good to have a vegetable patch to start growing our own food. Finally we thought about ways to encourage different birds onto our grounds. We then spent the afternoon making bug hotels and bird feeders. We can’t wait to start planting in the next couple of weeks! Pre school really enjoyed their number time today. The children needed to carefully count how many chicks were in the brooder box and then close their eyes. Whilst their eyes were closed, Charlotte sneakily took some of the chicks away. The children needed to use their knowledge of number to work out how many chicks had been taken out of the brooder box. Tomorrow the children will represent this using tens frames. Hummingbird class had a great day on Thursday, celebrating World Book Day. The children looked fantastic in their costumes and we enjoyed spending the day reading different books, celebrating our favourite stories and doing reading based activities. Steves sister, Carol, a publicist in London, kindly sent us some more books from her company! The children get so excited by new, interesting stories and it was lovely to share some of these. We also made our own bookmarks, created our own stories, designed front covers and created our favourite characters using mixed media. There were also lots of opportunities throughout the day to D.E.A.R (Drop everything and read)! Thank you to everyone for your amazing efforts in celebrating this day with us! This week has been super exciting as we had 10 chick eggs delivered. We have spent the week learning about the lifecycle of a chick, the hatching process, what they like to eat and how to look after them. We all made predictions on how many boys and how many girls we would have by the end of the week! The children learnt that girl chicks are brown and the boy chicks are a lemon/white colour. It has been wonderful to watch the chicks hatch and change daily and we can’t wait to be able to hold them on Monday!! Unfortunately, one of the eggs did not hatch but we were very lucky and fortunate to have 9 healthy chicks by Friday. We discussed the reasons the 10th egg might not have hatched and have decided we would like to bury it in our playground on Monday morning. We can’t wait to have another week with our new fluffy friends - unsure if the parents and staff are more excited than the children? The children really enjoyed learning about Shrove Tuesday and where ‘pancake day’ originated from. We discussed Lent and why some people choose to give up something for 40 days. The children discussed what they would like to give up for Lent. We then spent the morning making delicious pancakes and used different tasty toppings! Lots of smiles today. A big thank you to Sherry for bringing in the ingredients and helping us make them. Hummingbird class had a fantastic day on the last day of term on our first ever school trip to Bristol zoo. We really enjoyed the jungle boogie workshop - some of us even held a hissing cockroach and touched a Madagascan stick insect! The sun was shining and we had so much fun looking at all of the animals - it was great to share some of the facts we have learnt this term. The staff could not have been more proud of the children and how they represented our school! What a fantastic day we have had! The children have loved celebrating Chinese New Year today. We started the morning off by answering the register in Chinese, followed by writing our numbers to 10. We then split in to 4 groups and spent the day doing a carousel of activities. 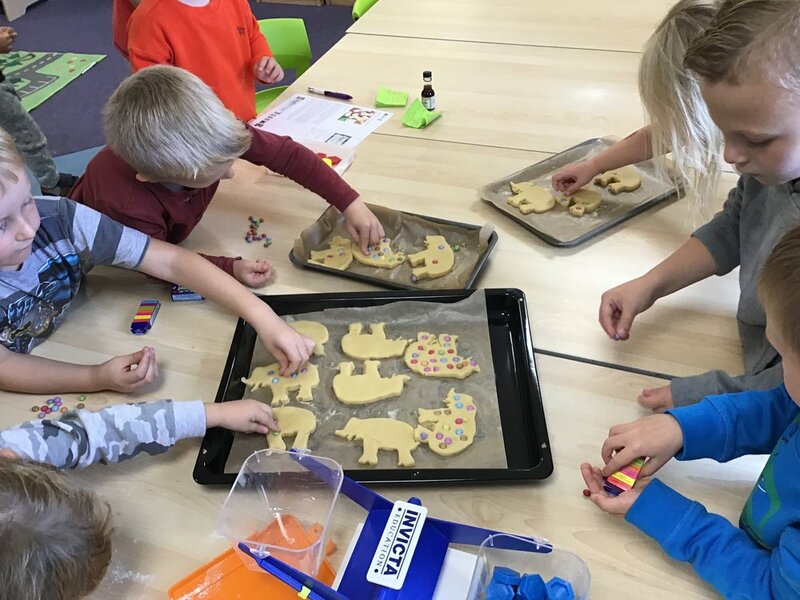 The children had a great time; making dragon masks, writing their name in Chinese, making lanterns, decorating pebbles to look like pigs, making Chinese fans, playing maths games on the IWB and decorating special envelopes for gold chocolate coins. Tomorrow we will share fortune cookies and we can’t wait! Today in Hummingbirds class we have been learning about Martin Luther King Jr.. Nicole gave all of the girls a special marble. If you had a special marble you were allowed to sit on chairs, have extra playtime and choose activities first. If you didn’t have a marble - you were ‘not special’ and had to sit at the back, away from the children with the marbles. This made lots of the children feel really sad. The children with the marbles felt really happy and didn’t care that their friends didn’t get the same treatment. Nicole then took the marbles back and gave all of the children with blonde hair a special marble - these children were now the most important. Some children were really happy to now have a marble and didn’t think about how they felt beforehand. We had a big discussion about equality and treating people fairly. Everyone agreed that Nicole was not being fair but also understood that they didn’t try to make it fair either. We then watched a video called ‘The Sneetches’ by Dr Zeus and then discussed the work of Martin Luther King Jr. The children made Portraits of Martin Luther King Jr and thought about what they would like to change for the future. Our focus story for the last two weeks has been ‘Where the wild things are’. We thought about the different types of Wild thing from the story and then Year 1 and Reception planned and created their own ‘Wild things’. The children thought very carefully about the features they wanted to include and then had to try even harder to create a similar version using different mixed media. The children have used some fantastic adjectives to describe their Wild things and this week they have been working on a character profile for them. How fantastic! The Pre-school children have had lots of fun so far this term, making different obstacle courses outside. They have had to find different ways to travel across the different obstacles. The staff and children all had a lovely lunch time today. Locking Primary school very kindly invited us all over for Christmas lunch. We enjoyed a yummy turkey lunch followed by brownies and ice cream. The children loved their Christmas crackers - the fake moustache was a firm favourite..
Everyone in Hummingbirds has enjoyed our winter themed provision this week - lots of fun learning through play! A huge ‘thank you’ to all those who were able to join us for our first Parklands ‘stories around the Christmas tree’. The children all looked so warm and cosy in their PJs, dressing gowns and blankets. We really enjoyed reading and sharing Christmas stories whilst enjoying a hot chocolate and a cookie. It took the adults a long time to put all of the lights up but it was very much worth it. What a lovely end to another great week! For the last two weeks, Hummingbirds class have been helping Paddington bear travel around the world and back to London. Paddington got stuck in Russia after losing all of his belongings. The children were very helpful and wrote him a list of important items and documents he needed to get back home. Paddington wrote, emailed and messaged us each day letting us know where in the world he was - we then found out different facts about that country for Paddington. Today, the doorbell rang and we were very surprised to see a big box all wrapped in orange. Attached to the box was a note that said “Nicole needs to play the video”. Nicole was very confused but saw she had a voice message on her phone - it was from Paddington Bear!! He had made it back to London thanks to our help and to say thank you, he sent us the ingredients to make his favourite thing in the world - MARMALADE SANDWICHES. We all wrote instructions on how to make a tasty sandwich and enjoyed following the instructions this afternoon. Thank you so much Paddington! Hummingbirds class were excited for their surprise treat - a wonderful music session based around African instruments. The children enjoyed learning about the different instruments and playing different tunes with them. We even learnt an African song and had fantastic rhythm. We really hope to have another visit from Anne again soon. Wow! We had such an exciting day on Wednesday! The children enjoyed their first adventure to our permanent school site for the ground breaking ceremony. The children were so very excited to see where our school is going to be. We all got to wear high vis jackets and hard hats. We are all really looking forward to visiting the site again soon after Christmas when we can have a closer look at the diggers and what’s going on. We love our little building but are looking forward to moving in to our permanent building. Steve came back from his meeting this morning with some tyres for us to play with outside! The children had so much fun rolling, pushing, sitting and jumping on the tyres. Some children tried to balance on them and others tried to make a tower. How lucky we are! I think we have found a new favourite resource for outside - the mud kitchen! The children have had the best time today mixing and collecting mud and sand to use in the kitchen. Nicole thinks we are in for some very fun and messy playtimes! This week the children learnt about the Maasai tribe. We were really inspired by the bright clothing and beautiful beaded jewellery. The children found out lots of interesting information and enjoyed writing what they had learnt. The children then made Maasai inspired necklaces using paper plates and some tribal masks. What do you think? Everyone was very proud of their creations! As part of our topic, ‘World carnival’, we have been looking at different celebrations this week. On Wednesday, we looked at the Hindu celebration ‘Diwali’ - the festival of lights. The children really enjoyed looking at different pictures and finding out more about the festival. We then did some Diwali inspired activities - the children created Rangoli patterns, made lanterns, created cardboard castles and did some fantastic writing! Some of the children decided they would like to celebrate Diwali every year! This week, Hummingbirds class have been using the poem ‘The sound collector’ in our English lessons. Year 1 took on the role of sound collector on Wednesday and went searching for sounds to take away! the crunching of the leaves, the zooming of the cars and the dripping of the raindrops were just some of the many sounds we collected. The children loved creating their own sound collector poems during their ‘BIG WRITE FRIDAY'. 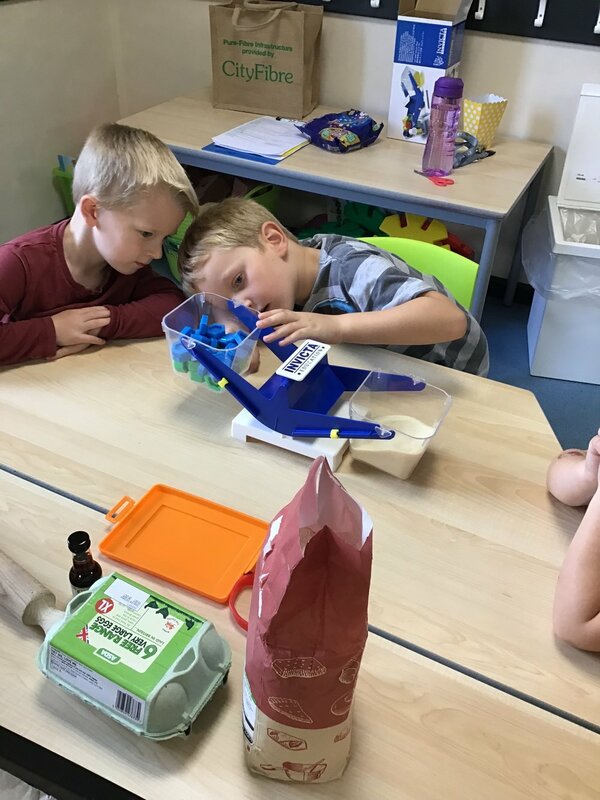 Alfred the Unicorn wanted to make a potion to help him become an excellent friend. Unfortunately, all of the labels for his ingredients blew away in the wind!! Alfred asked Hummingbird class if they would help him. Our value of the month for October has been ‘friendship’ so we were all experts! We helped Alfred label the ingredients and decided on quantities. We gave the potion a good mix and it was ready. The year one and reception children then wrote their own fantastic friendship potions! To end our focus on Elmer, the children had an Elmer parade. Everyone made their own Elmer mask using different colours and we danced around the classroom! To continue celebrating and appreciating differences, we tried some fruits that we had never tried before. The children tried figs, physalis, Sharon fruit and kiwi. The children enjoyed feeling, smelling and tasting the different fruits! Nicole bought in a box today. Inside the box was something very, very special. 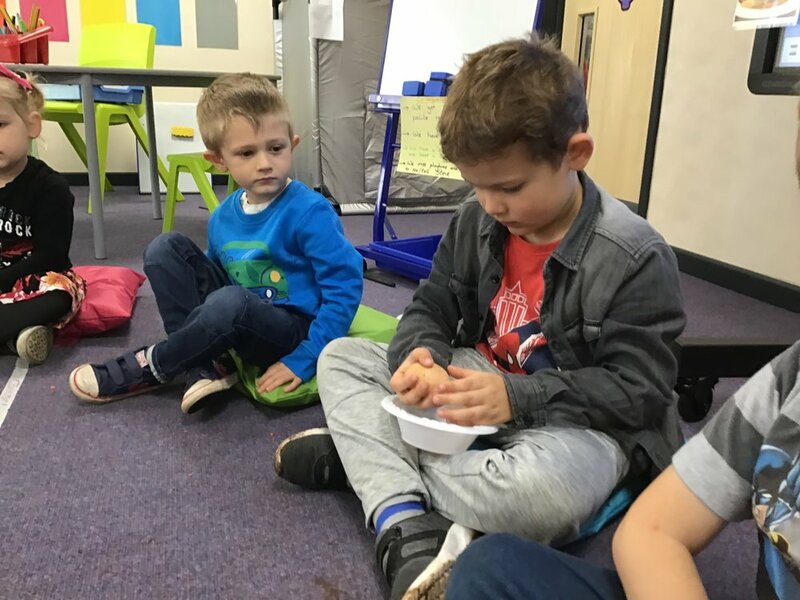 The children all sat in a circle and took it in turns to look inside the box. The children had to try and keep the surprise a secret for the next person. Inside the box was a mirror. The special thing inside the box was our reflection! A few of the children thought that seeing themselves wasn’t very special so we spoke about all the reasons it was the most special thing going! We really enjoyed sharing what makes us so special and some of even chose to write ours down. We then spoke about our health and the things we do to keep our bodies healthy. We also discussed what can happen if we don’t keep our bodies healthy. Nicole asked the children if the same applied to our minds. The children didn’t think our minds could get ‘poorly’ so we started speaking about our own well being and trying to make sure we are feeling happy. We came up with a list of ideas to go inside our class happiness hedgehog. Whenever we feel run down, tired, sad or lonely at school we can choose one of the options to help make us feel happy again. We also made our own ‘happiness buddies’. These are small, fuzzy, soft creatures that instantly lift your mood! You have to be super careful with them though. The children really enjoyed making them and have been using them regularly throughout the day. We were fascinated by the different colours and patterns on the elephants at the end of the ‘Elmer’ story. We each made our own Elmer masks, thinking very carefully about the colours we were using. They all looked absolutely amazing!! Over value of the month for October is Friendship. Hummingbirds class have had lots of discussions about this word. We have talked about our own friends, what makes a good friend and what a good friend does. This week we made friendship bracelets. We thought about all of the qualities we would like to have in a friend and wound these into a bracelet. We have really enjoyed wearing our bracelets this week! The same but different….. different but the same! Nicole bought in two eggs today. She asked the children what they noticed. The two eggs looked very different - one was round and freckly, the other was slim and smooth. One was brown, one was white but everyone agreed that they were both still eggs. Nicole asked if the contents inside would be the same or different. We had a vote - it was a tie! We just weren’t sure if they were the same or different. Some of us thought there might be a chick in one and a duck in the other. We cracked them open - they looked exactly the same! How could that be? Two eggs that are the same inside but different on the outside? This reminded us of our focus story, Elmer…..
Elmer looks and acts differently compared to the other elephants but he is still an elephant. He still has the same workings of an elephant, he is just different in a more obvious way. Some of the grey elephants were tall and some were short, some were happy and some were sad. We think some elephants like spraying mud on their backs and some don’t. These differences still make them elephants. …. Hummingbird class got creative this afternoon and made a portrait of themselves using some of the objects we collected on our walk last Friday. Everyone was really proud of their portraits and complimented each other on their work. They look fantastic in our floor book and up on the wall. Pre school and Reception had a great time this morning recapping our first 7 sounds. The children danced around to music until Nicole pressed pause. As soon as the music stopped the children found a chair and had to read the sound on their chair. Lots of fun! Hummingbird class made the most of the Sunshine on Thursday and had lots of fun outside. The children created a game called ‘shadow chase’. They tried to catch their own and each others shadows. Nicole asked the children if they were able to run away from their shadow. Some of the children tried REALLY hard but just couldn’t get away from their shadow. Some of the children then asked if they could draw around their shadow. We all had lots of fun making different shapes but when we went out at lunchtime, we couldn’t fit back into our shadow outlines…. Everyone has continued to really enjoy ‘The Rainbow fish’ this week. We have been focussing on ‘wow adjectives’ in our English lessons in order to describe the Rainbow fish. To help us with our adjectives, we made a HUGE Rainbow fish using; tissue paper, tin foil, paints and colouring pens. This certainly helped us come up with some FANTASTIC adjectives in our writing and we had lots of fun whilst doing so. Reception and Year 1 have been looking at animal pictures very carefully this week. They have been number detectives! We each chose an animal, covered the chosen animal with counters and then put the counters in a line so that we could count them carefully, one by one. We then turned the information into a bar graph to find out which animal in the picture was represented the most and which was represented the least. The children really enjoyed looking closely at their friends this week and then drawing them. They noticed so many details, similarities and differences and enjoyed celebrating what they found. The children particularly enjoyed finding out whether or not they had dimples when they smiled! 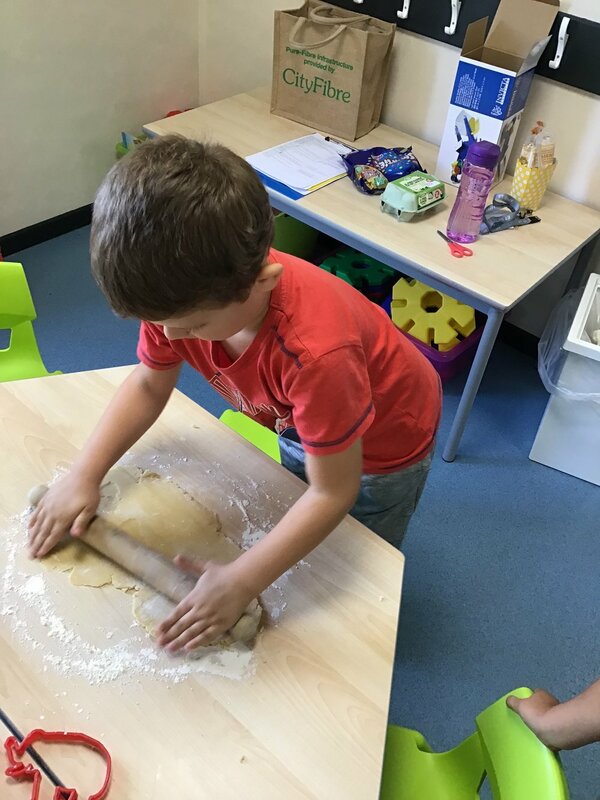 The children have loved doing dough disco this week!! 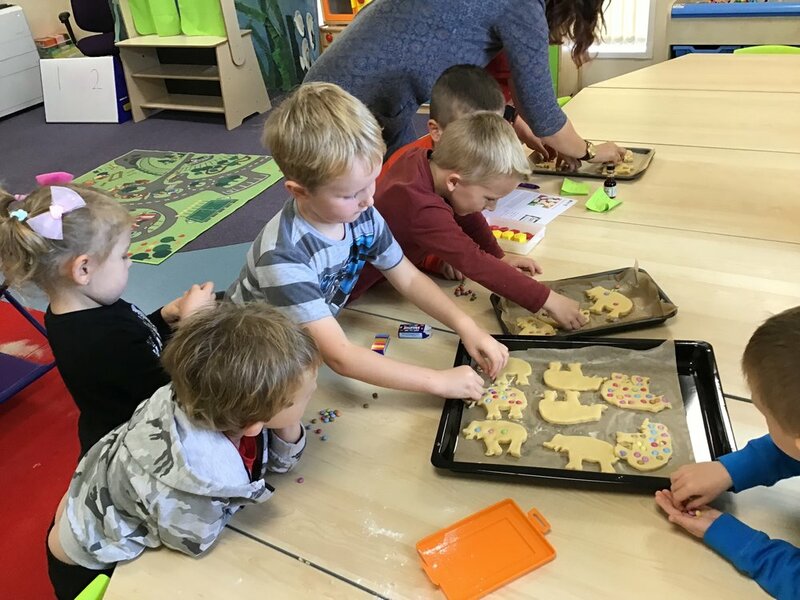 Pre school and Reception have done really well with choosing the colour of their dough and following the moves, so much so that they even taught the year 1 children how to do it over the last two days! We have concentrated on learning our ‘finger family’ this week - Tommy thumb, Peter pointer, Toby tall, Ruby ring and Baby small. Our favourite move so far has to be making the sausages. Hummingbirds class have had a very fun afternoon today. We went for an adventure across the road to see what natural items we could find. We are very lucky that our little school is surrounded by lots of green space and trees. We put on our wellies, got our buckets and grabbed some magnifying glasses (every explorer needs magnifying glasses) and off we went! We found SO many conkers, twigs, branches and beautiful bright autumnal leaves. It was lovely watching the children work together to collect the items and to see the excitement and joy on their faces. We couldn’t wait to get back inside to show Steve our collection! Everyone was feeling very sleepy after so much exploring and running in the fresh air, so, tomorrow we are going to make some leaf pictures and use the conkers for sorting and counting. Today the children and Nicole braved the rainy weather and went out to play. We put on our welly boots and our rain coats and out we went. We had so much fun splashing in muddy puddles and trying to catch rain drops on our finger tips. Some of us noticed that when we walked we created a trail of bubbles behind us. We manage to have so much fun - rain or shine! Today we enjoyed our first school dinner. We were all very excited and enjoyed making our lunch choice in the morning. We had to move the classroom around to make a table that was long enough to fit us all on! Steve, Nicole and Claire all served up the lunch and we sat down together to eat our food. The macaroni cheese got a big thumbs up and of course everyone enjoyed the ice cream. Steve then took us all outside for some games and play. The adults were very impressed with how well we all did - some of us even had seconds!! Just when we thought our first day couldn't get any better, Steve surprised us all with a chocolate cake in the shape of a gingerbread man! What a lovely way to celebrate our first day. We each placed a candle on the cake but when we came to light them, we realised we could set the smoke alarm off! We made our way outside to try again but this time the wind kept blowing the candles out. We managed to find a little bit of shelter but sadly this didn't work either so we just used our imagination. We came back inside for a BIG slice of cake and a story to end the day. Perfect! A collection of pictures from our first day :). The children all settled extremely well and had such a wonderful day exploring some fantastic resources - The sand and soapy water trays were a massive favourite! We enjoyed socialising over some tasty fruit and learning some new games to play at playtimes and lunchtimes. We got creative in the construction area and made stories in the small world area. There was also some amazing counting and writing going on and of course enjoying a lovely book or two! We just can't wait to do it all again tomorrow. The day finally arrived where we could open our doors to our class of Hummingbirds! We started the day with our first ever activity morning. What better way to get to know a new environment than with a treasure hunt? The children and their adults needed to find as many areas on the list as they could in 10 minutes. There were lots of smiles and positive attitudes!! We can't wait for our next activity morning.